Mitzvah Tools has an elegant mobile responsive design that puts all of your critical information right at your fingertips on all your devices. 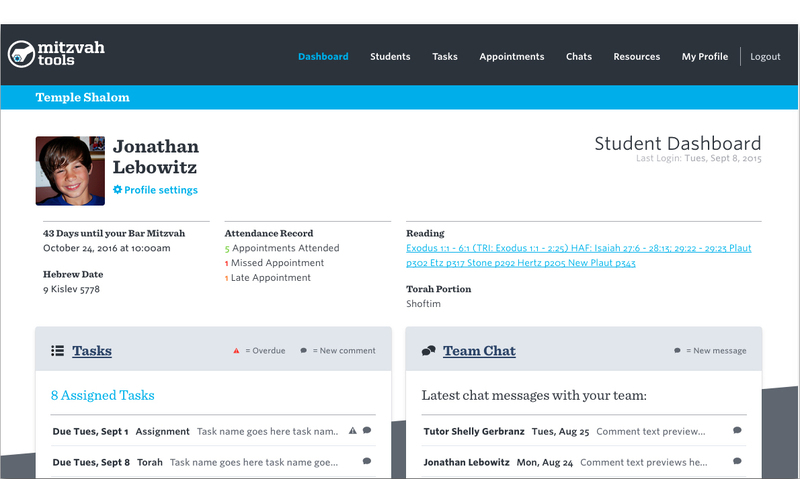 Here are some advance renderings of the newly redesigned Mitzvah Tools interface. 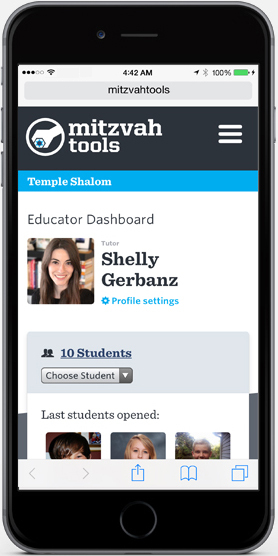 Click this link for a brief video walkthrough of some of the features and functionality of Mitzvah Tools 2.0. The Educator Dashboard helps you keep track of all of your students, their progress, tasks and appointments. 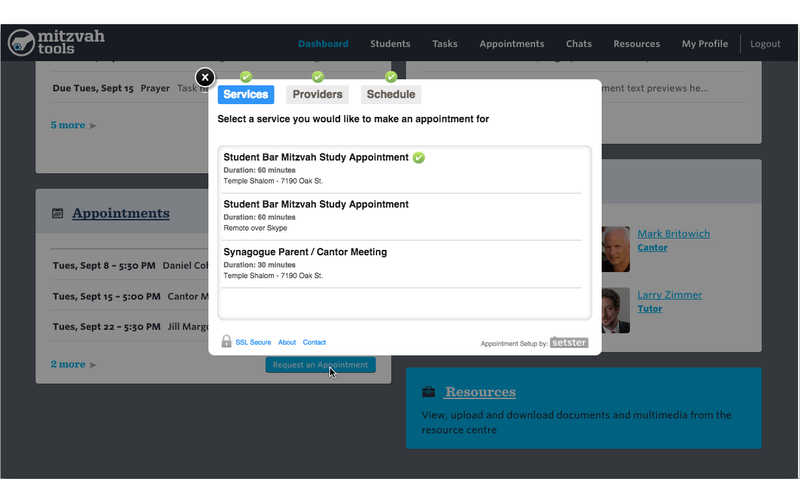 From here you can initiate a chat with students, share notes with team members, check your appointment calendar or share resources such as audio recordings and prayer worksheets. 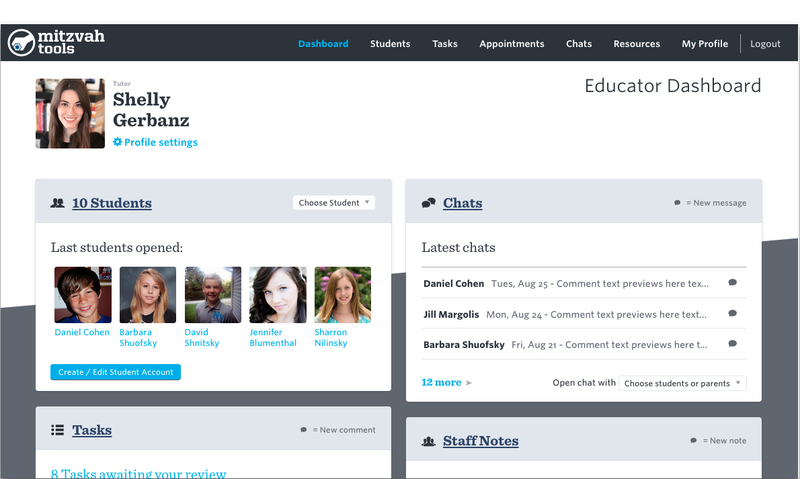 The Student Dashboard puts everything in one place for your students. Accessible on mobile devices as well as desktop, they can complete tasks, check appointments, and access online resources. When scheduling appointments with students something always comes up. With a click of a button parents and students can schedule or reschedule a meeting or initiate a video chat learning session all based on the educator’s calendar of availability.